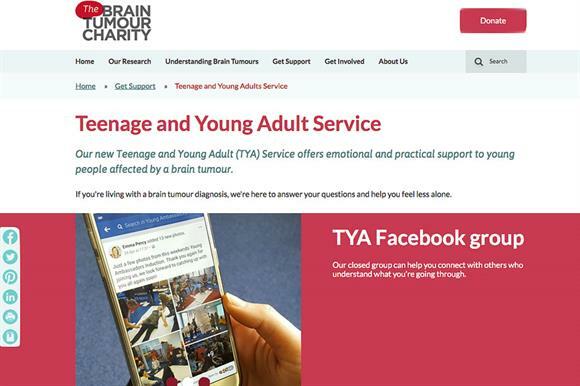 The Brain Tumour Charity has created a closed Facebook group as part of its newly launched Teenage and Young Adult Service to help people living with brain tumours. Events where young adults can meet new people, learn new skills and get helpful information and support. People can register their interest about the Facebook group through the TYA page on the Brain Tumour Charity website. Once information has been provided, they will then be given access to the group. Emma Wood, a TYA worker, said: "We hope that the Young Ambassadors Facebook group will be a hub where young adults can connect with others and share experiences. And we can also share information about events they might be interested in getting involved with." The charity’s Young Ambassadors will also be creating videos and vlogs aimed at telling their own stories and helping the charity to raise awareness about brain tumours. "Our aim is to work with the Young Ambassadors team to make videos and vlogs as a useful resource for our TYA, which will be shared through this new service," Wood said. "We also offer support by email, text, whatsapp and Facebook messenger. And we will be carrying out a survey in the coming months to ask young people about the support they would like: maybe other options, such as live chat."